Gorgeous cards! Thanks so much for such and awesome kit this month! I really loved working with it. All the elements you included made them come together so easily! I could still make a ton more! 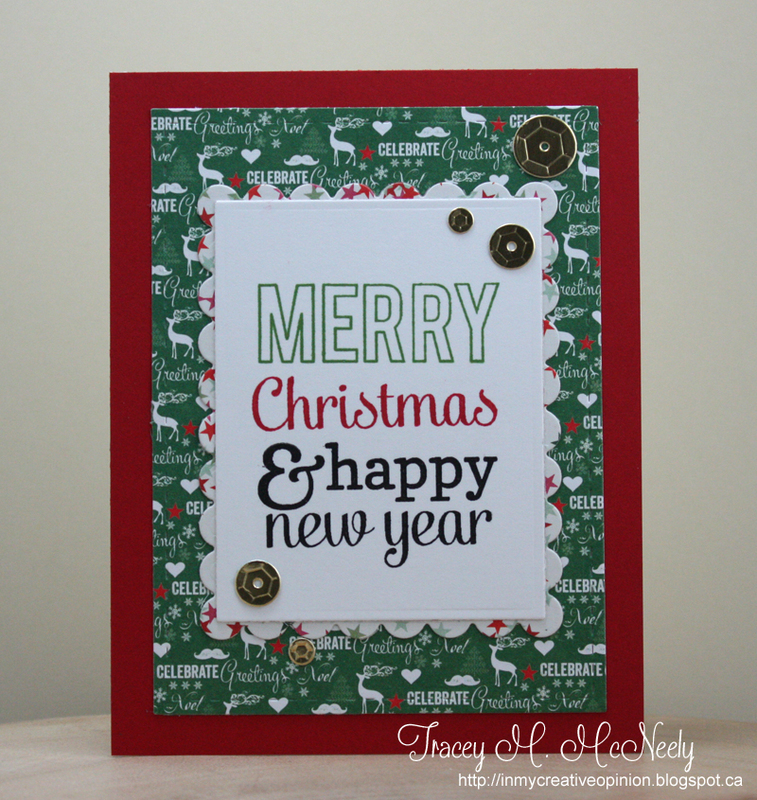 Love all your beautiful CAS cards Tracey! I agree the papers are wonderful and I have so much left. Thank you so much for a beautiful Christmas kit! Hope August is not as busy for you. These are are fantastic Tracey!! I really like the card with the list and the clothes-pinned gingerbread man! Tracey - thank you so much for the wonderful kit!!! I really had lots of fun and so many images that I didn't have that I need now!! I love that Joy stamp - your card is amazing with the gold sequins and subtle green tree background. So cool to see your vision of the kit (to see if I'm doing it right:)) Thanks again! All of these are sooo cute and sweet! Love, love, love! You did a marvelous job of picking the elements for this month's kit, Tracey! Love your cards and all of the ladies cards I've seen so far! these are all so great my friend! Love all your cards--each so beautifully CAS! Thank you so much for the awesome kit. It was so easy to work with! I'm usually doing cards at the last minute but this week I had most done several days early. Then yesterday I decided to add one more using modeling paste. And there's still lots to play with! These are fabulous! I think I like the first and the last the best. I always love multicolored sentiments...why do I rarely use them?! And those foil sequins are just awesome. I going to have to check the supply list...I think you used a die. These are all so pretty and festive! Thank you for a really fun month Tracey...I spent lots of time on vacation playing with your kit. I especially loved your card with the cute gingerbread man clipped to the Wishes tag. I think that tag was my favorite thing in my kit! I agree with what Sharron said...it was a really easy kit to work with! What an amazing job you did with this kit, Tracey! One after the other is truly stunning...and I'm loving those pretty papers, too! You are such an inspiration to us all...Thank you! Tracey, I have already said this several times before, but I love your kit! 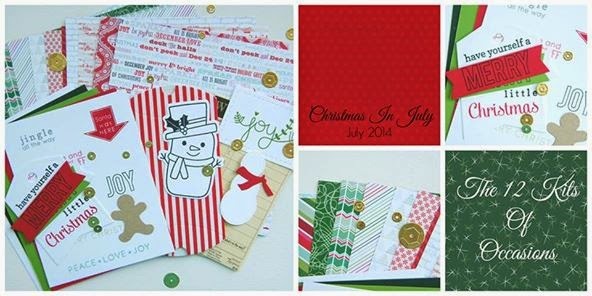 You put together so many festive little goodies that made fabulous cards. I can't wait to pull all my leftovers out to case a few of yours. I love all your wonderful creations but your second to last card is my favorite. I love how you used the wishes tag! So sweet. Thank you again for a festive and fun kit. Fabulous collection of cards, Tracey. Not surprising since you put the kit together AND are so super talented. I love how you even used your patterned papers! A huge thanks once again for this fantastic kit. I had so much fun creating with it, and now am having a blast seeing what everyone else created. Oh my, Tracey - how lucky the gals are to receive this absolutely amazing, inspiration+++ kit from you! Every card is infused with your unlimited creativity; dazzling, delightful, festive and fabulous! Love those papers (I so want to find them!) and that snowman - I 'need' that snowman (is he Hero Arts?)! Jaw-dropping, breath-taken-away AWE! Another set of cards to love, love and love! Love love love that sweet snowman card :)Then the joy card with the trees background, it looks so trendy because they look like triangles! 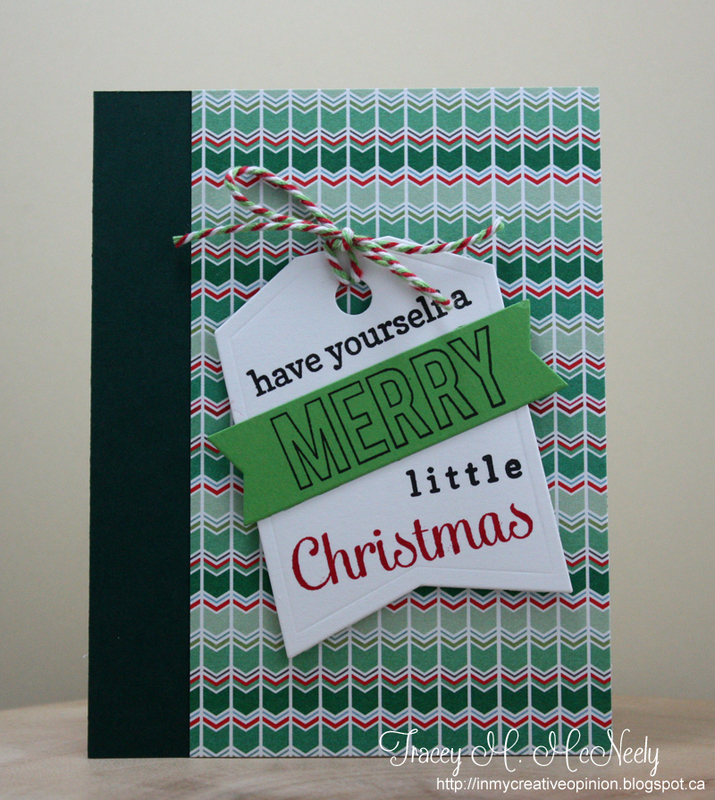 And on the first card that is so neat how you highlighted the word merry!